Avalon is a legendary, mythical island paradise where King Arthur sailed off to at the end of his life, having long searched for the Holy Grail. Avalon, mythically speaking then, is heaven. 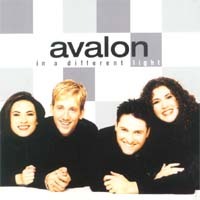 The vocal group Avalon was originally comprised of Jody McBrayer, Janna Potter, Michael Passons and Cherie Paliotta. 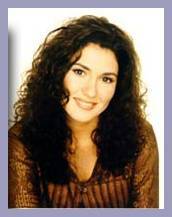 As of 12/01/02, Paliotta has left the group, and brand new member Melissa Greene joins Avalon. 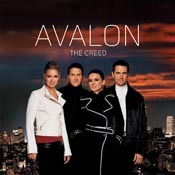 Dove and American Music Award winning vocal quartet Avalon brings its first all-new recording in three years, THE CREED, to stores everywhere on February 24. Led by the hit single, "All," THE CREED is the first Avalon studio project to feature new members Greg Long and Melissa Greene, who are joined by group founders Jody McBrayer and Janna Long. Partnering with the production dream-team of Brown Bannister, Tedd T., and Charlie Peacock, THE CREED showcases a second-to-none collection of unforgettable, soulful new Christian music. Years in the making, THE CREED brings Avalon back to stores everywhere February 24TH. Greg & Janna Long welcome a new baby just weeks after completing a tour for the new hit album, The Creed.Greg and Janna Long welcomed their first child Lillian Flowers Long. 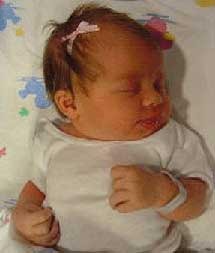 Wednesday, May 26, 2004. The family will get to spend a lot of quality time at home together before the next major Avalon tour this fall. "Premier contemporary singing group Avalon is nominated in the Best Pop/Contemporary Gospel Album category for its latest and most acclaimed project to date, THE CREED (Sparrow). 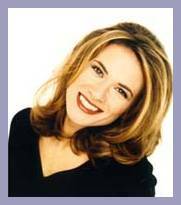 Avalon, whose credits include top sales, radio hits, and an American Music Award, has received two prior Grammy nominations." 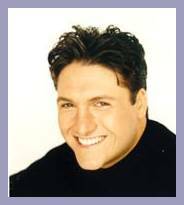 The 47th Annual Grammy Awards will be held in Los Angeles at the Staples Center on Sunday, February 13, 2005, and broadcast on the CBS Television Network at 8 p.m.
1998 Gospel Music Association Dove Award New Artist of the Year Special Event Album of the Year (for their contribution to God With Us) 1998 CRR (Christian Research Report Group of the Year #1 AC song of the Year "Testify To Love" 1998 American Songwriter Professional Songwriter Award Artist of the Year Song of the Year "Testify To Love" 1999 Dove Nominations include: Artist of the Year Group of the Year Pop/Contemporary Album of the Year A Maze Of Grace Inspirational Song of the Year "Adonai" Pop/Contemporary Song of the Year "Testify to Love" Long Form Music Video "My Utmost For His Highest" In addition, "Adonai" and "Testify to Love" were nominated for Song of the Year, which is awarded to the songwriter and publisher. Congratulations to Avalon! The Dove-winning, gold-selling quartet has received an American Music Award nomination in the category of Favorite Artist - Contemporary Inspirational Music, alongside P.O.D. and Jars of Clay. 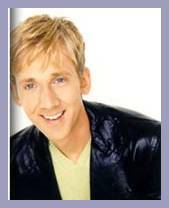 Winners will be announced January 13, 2003 at 7 PM CST, when the American Music Awards airs live on ABC. "It is an honor, but more of a shock!" says Avalon's Michael Passons of the presumably unexpected nomination. "We're very excited!"